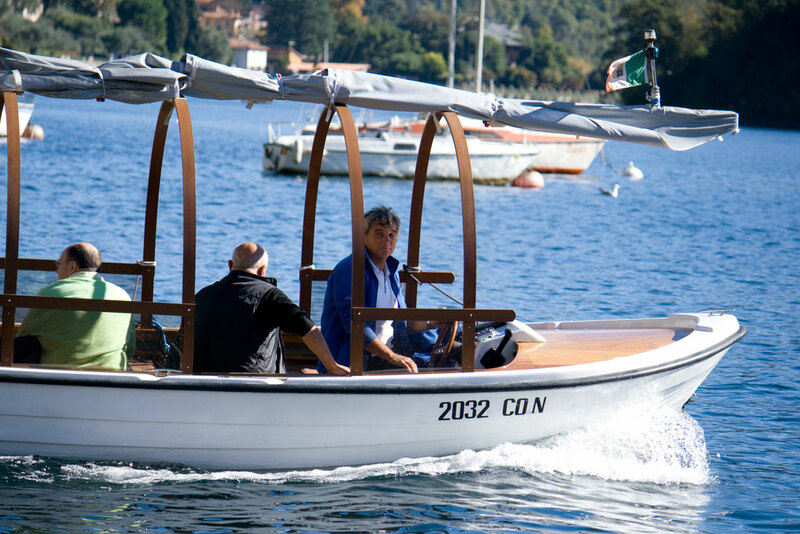 Please be aware that all boats are manufactured by using the finest building materials and comply with all licensing and safety requirements. 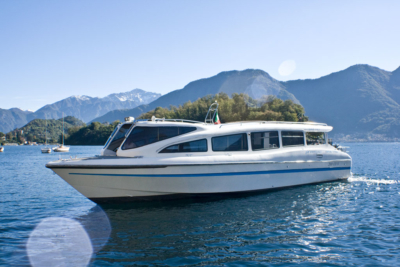 We strongly recommend to verify licensing and safety requirements before booking a boat service. 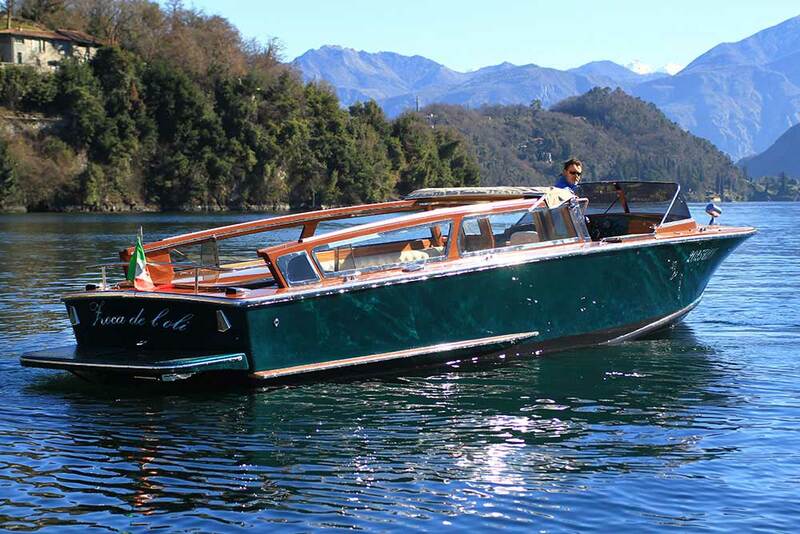 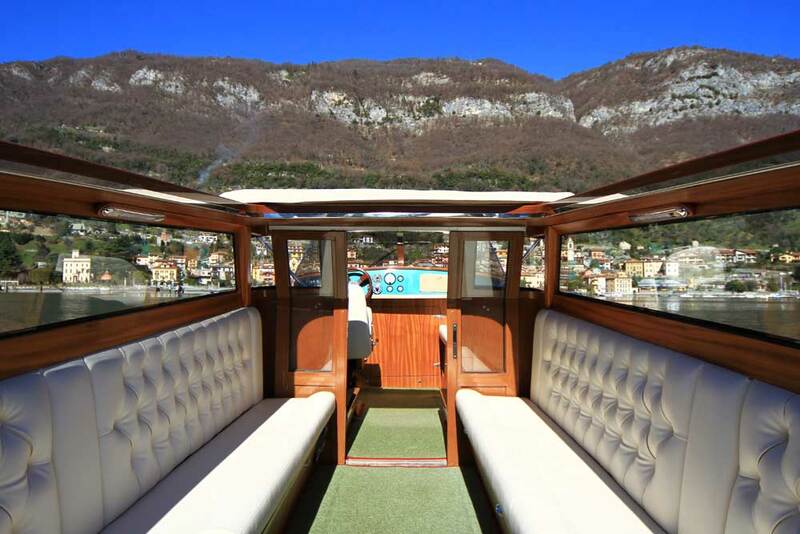 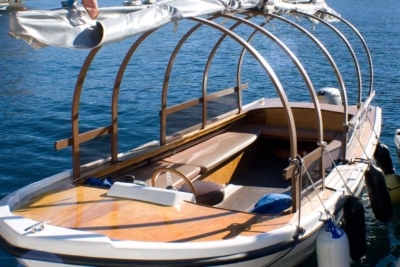 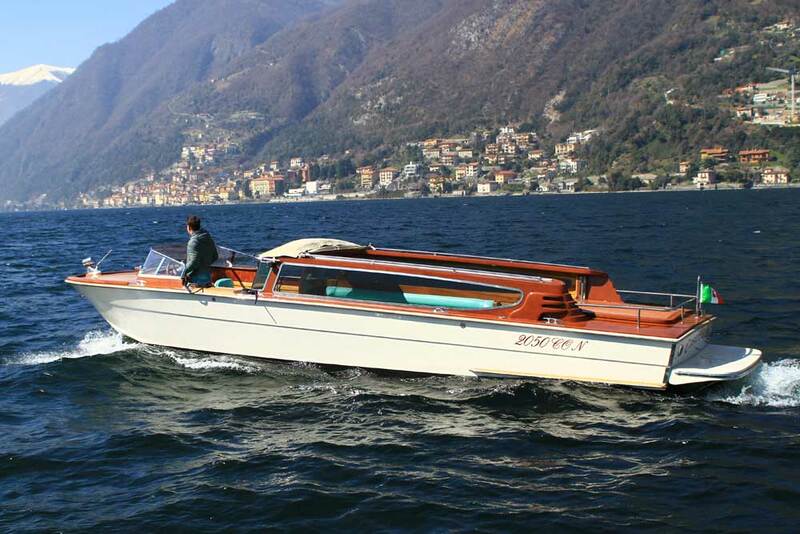 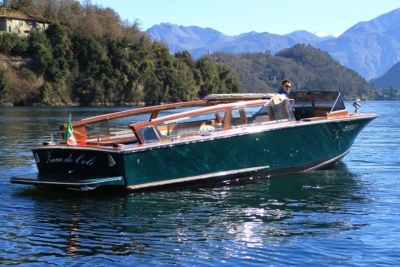 The Lucia, a perfect ‘Batel’ replica, the most traditional of Lake Como boats whose rooftop can be completely closed in case of bad weather. 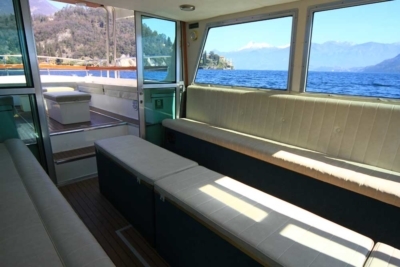 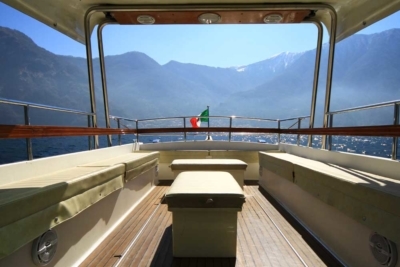 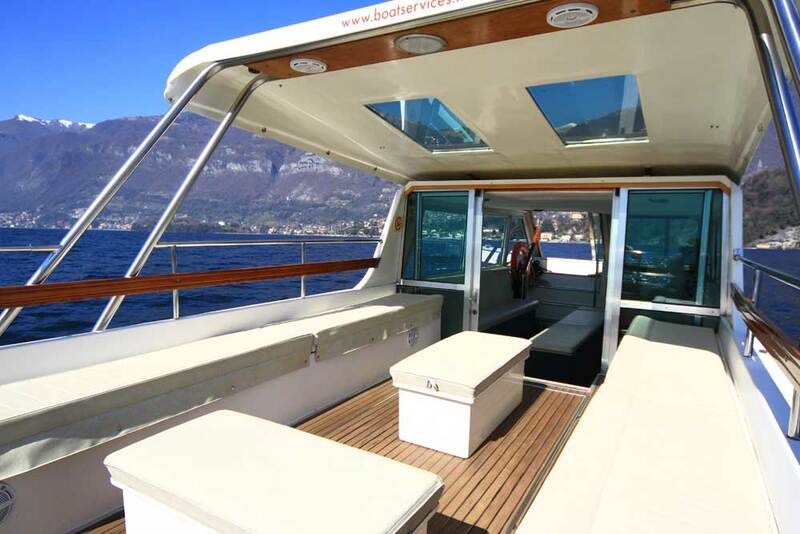 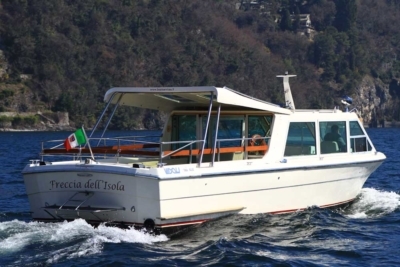 This sturdy and reliable vessel is only available for the shuttle service to and from the Comacina Island, which includes lunch and dinner transfers to the “Locanda dell’Isola” restaurant. 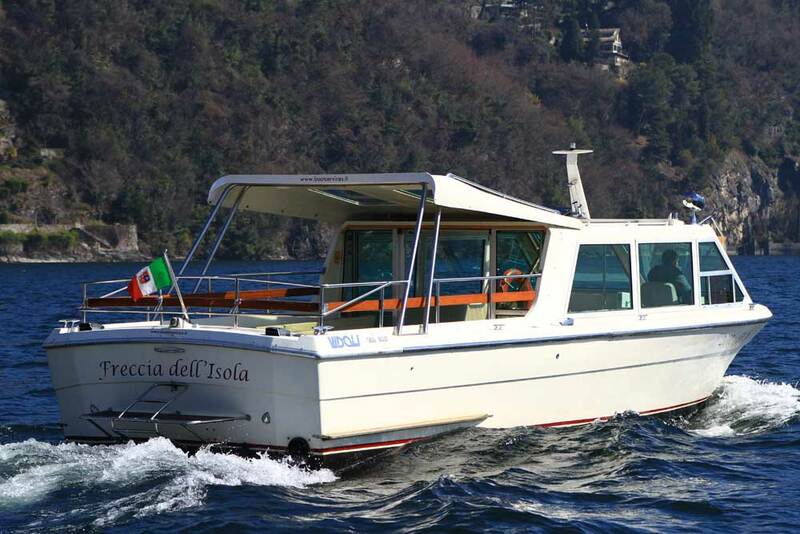 The Freccia dell’Isola, a spacious and versatile 44 seats boat for small to medium size groups whose characteristics make it suitable for a wide variety of services. 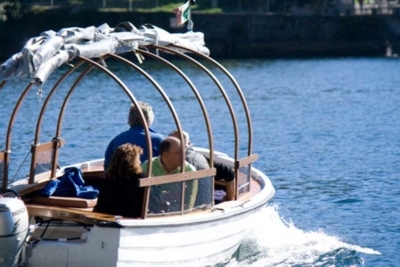 For long journeys we recommend a maximum of 35 passengers. Dimensions: length 11.50 mts – width 3.15 mts. 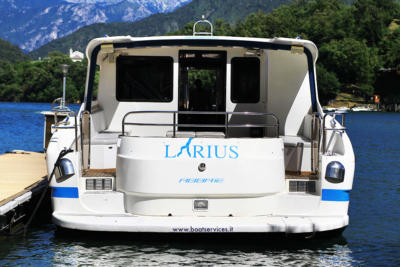 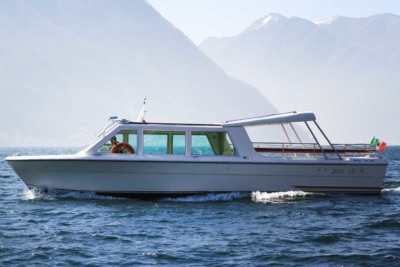 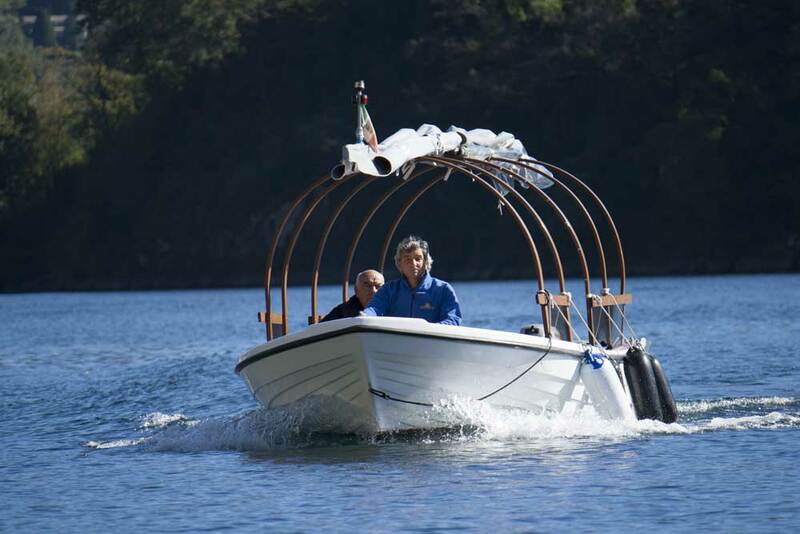 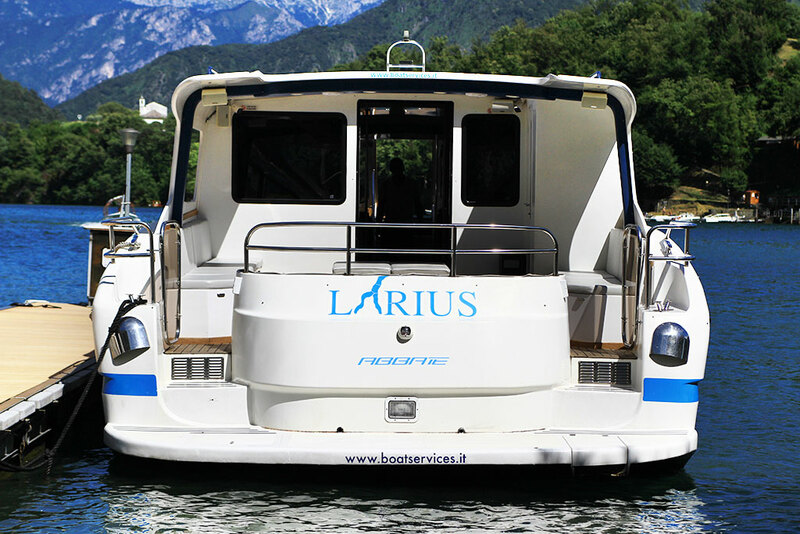 The Larius, a streamlined and fast, 78 seats boat whose unique design and comforts make it ideal for wedding parties or large leisure/business groups. 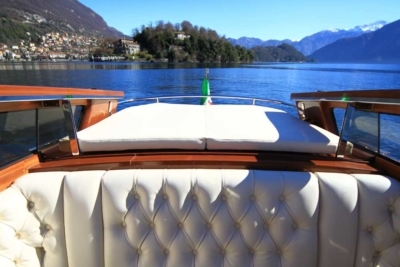 Dimensions: length 17.00 mts – width 4.50 mts. 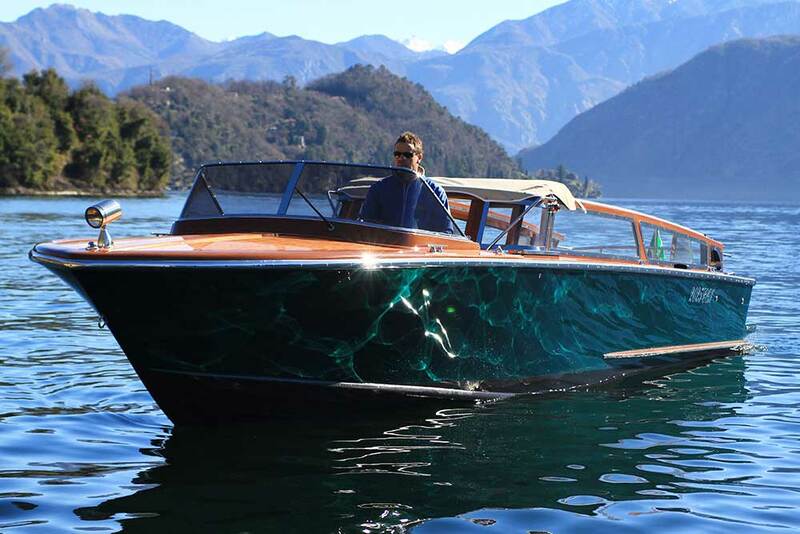 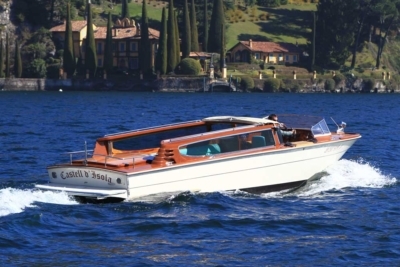 The Zoca de l’oli, a powerful and elegant 20 seats Venetian taxi, designed for Venice lagoon and refitted for lake purposes. 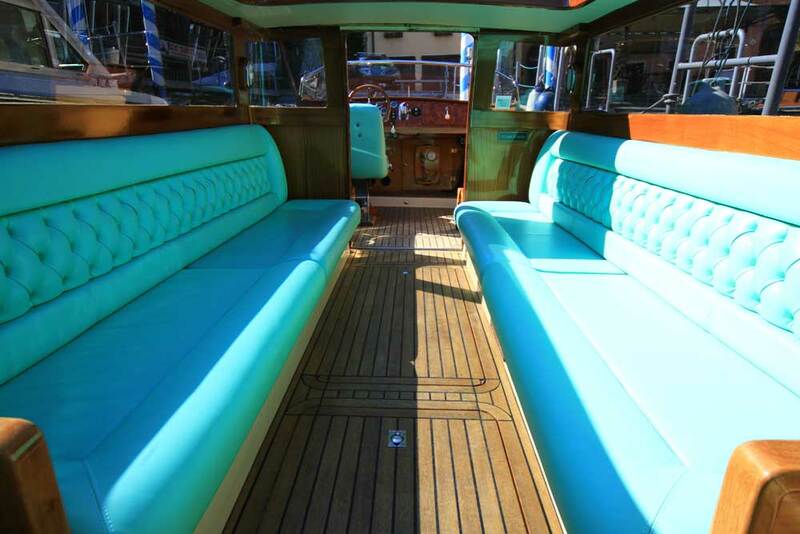 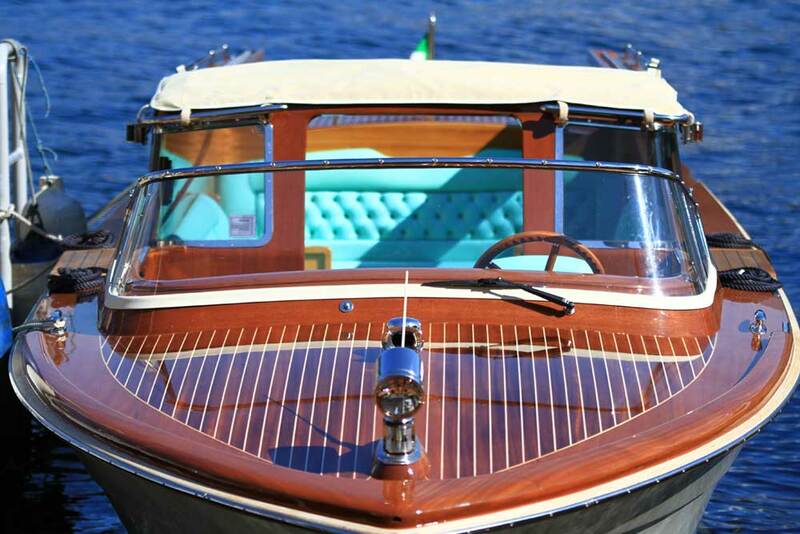 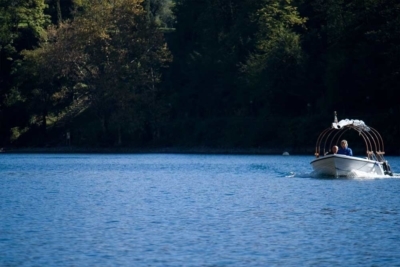 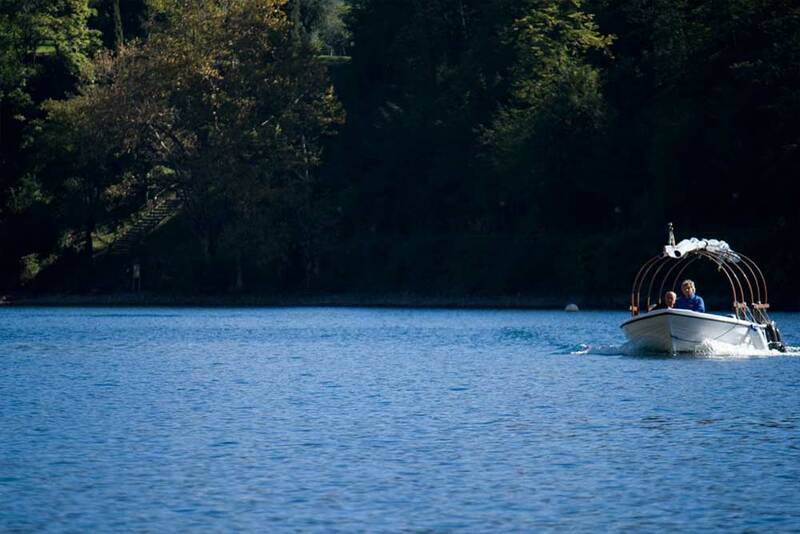 This vintage looking boat with refined mahogany finishes can be the perfect limo for a bride and her bridesmaids or for a romantic lake tour. 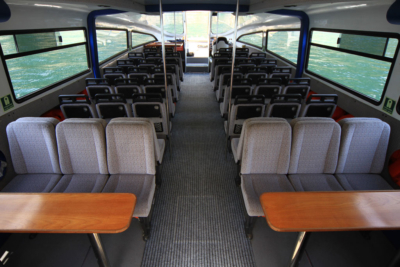 For long journeys we recommend a maximum of 10/12 passengers. 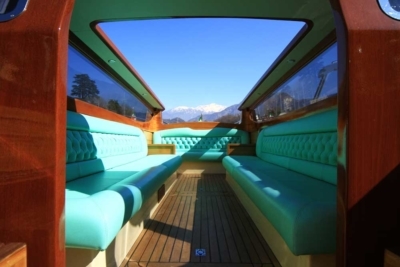 Dimensions: length 09.00 mts – width 2.30 mts. 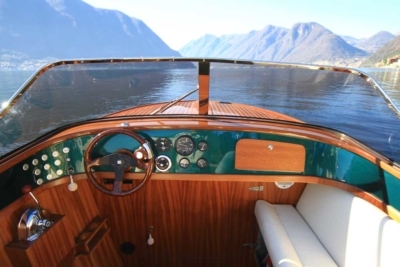 The Castell d’Isola, a sleek and graceful 15 seats Venetian taxi with stylish emerald interiors. This outstanding example of Venetian craftsmanship increases the options for a wedding party or an exclusive lake tour. 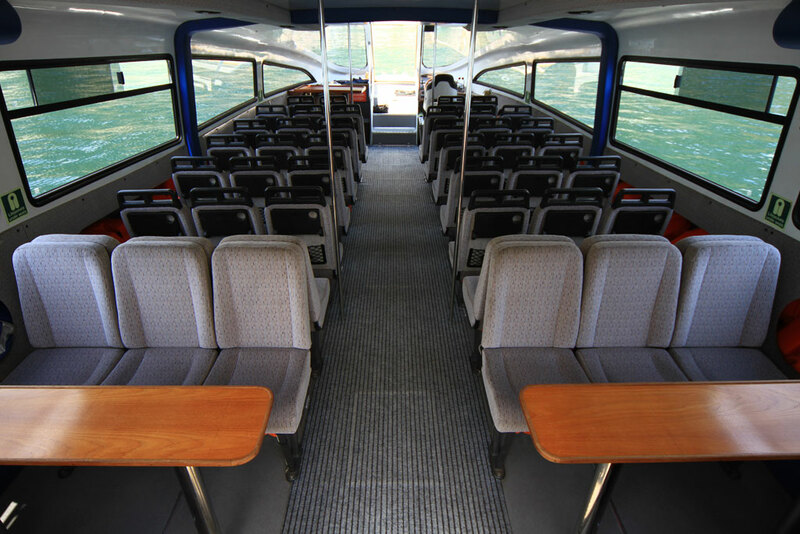 For long journeys we recommend a maximum of 10/12 passengers. Request a quote by email, we will reply as soon as possible. 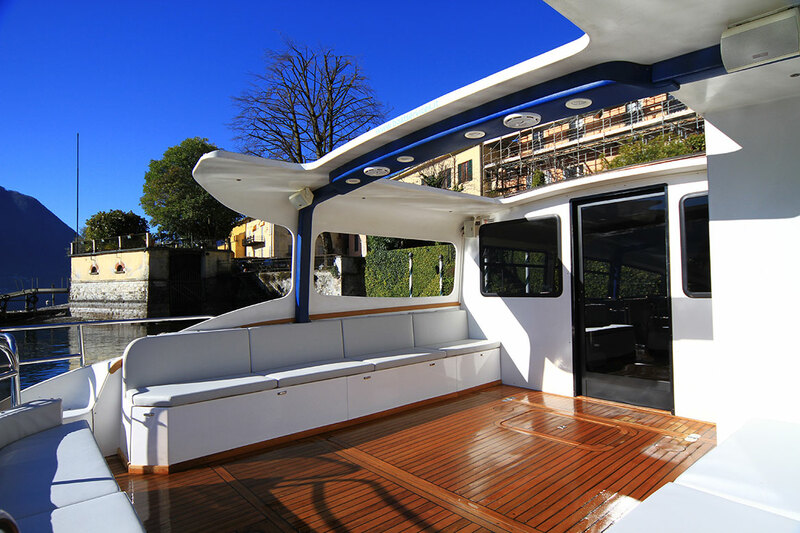 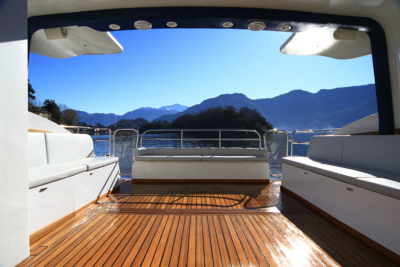 We are at your disposal to advise you when choosing one of our boats. We will accompany you to discover breathtaking beauty!